A social ride with new people through breathtaking landscapes will lead us to Devil's Den State Park in Arkansas. We will cover 3 miles on easy terrain. The trail climbs up to a ridge with invigorating views of the surrounding landscape while being completely immersed nature. We will end our hike with a leisure stroll at the geological features at Devil's Den State Park where we will take a break for lunch. On our way back to Springfield, we will stop at Saddlebock Brewery, an awesome brewery in a barn, for some beers and a tour. Perfect combo of nature and history of the Ozarks. Yellow Rock Trail has a very scenic view throughout the hike, with plenty of look out points on top a bluffline. Mild terrain easy to navigate. 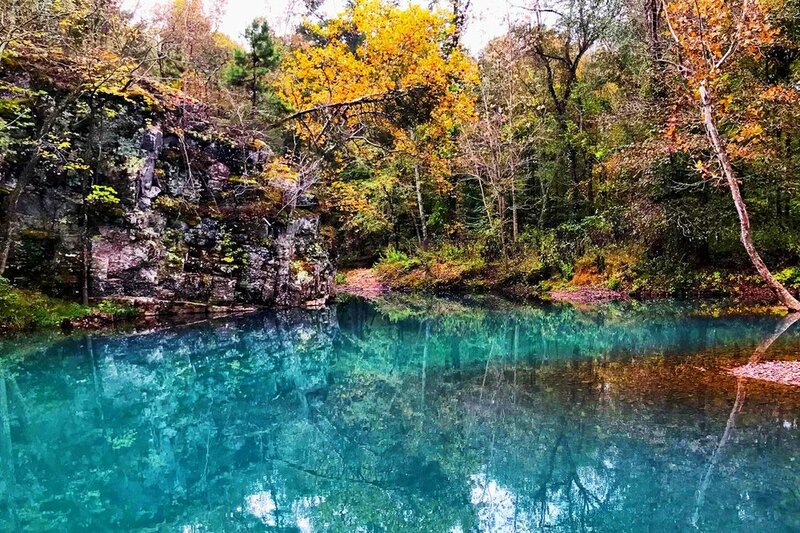 Get connected with the Ozarks through a 2-3 hour hike. Get a chance to meet like-minded people over awesome local beer. After a great day of hiking, getting connected to nature and like-minded people, how could anyone not be happy?